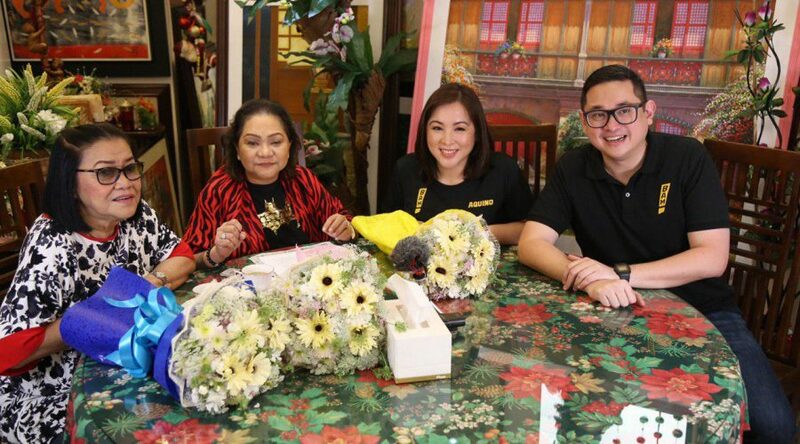 Despite being on the opposite side of the political fence, Sen. Bam Aquino and his wife Timi were warmly welcomed by showbiz talk show hosts Cristy Fermin and Lolit Solis as guests in the initial airing of their online talk show “Take It…Per Minute!” on Tuesday. Sen. Bam and his wife thanked the veteran talk show hosts for the chance to connect with their avid online followers. “Taos puso po akong nagpapasalamat kay Manay Lolit at Tita Cristy sa pagkakataon na makausap sila at ang kanilang mga tagasuporta. Salamat po sa inyong pagiging bukas na makinig sa aming mag-asawa,” said Sen. Bam. Manay Lolit and Tita Cristy are known administration allies and close friends of former President Joseph Estrada’s sons Jinggoy and Jude, but they set aside their political inclination and received with open arms the lawmaker and his wife. “Kasi noong una, siyempre pag sinabing ‘dilawan’, alam niyo naman kung saan kami naroroon. Iba iyong nasasalat mo ang senador at kanyang wife, nababasag ang pader sa gitna,” Tita Cristy said during the latter part of the show. During the show, Sen. Bam and his wife gamely answered the controversial questions thrown by the veteran talk show hosts about issues on trolls, fake news and being part of the opposition. “Noong una, pinapalitan lang ang Wikipedia page ko. Pero noong 2016, lumala na dahil may violence na. Ang worse niyan, noong tinawag akong terorista, na may kinalaman tayo sa Marawi, iyon ang pinakamalala,” said Sen. Bam. 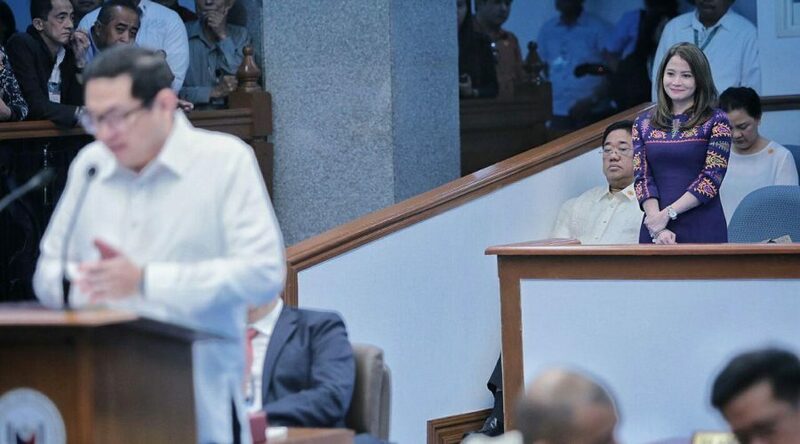 Sometimes, Sen. Bam said trolls twist some of his measures to make them appear negative and resort to name-calling to destroy his credibility, but he always side with the truth to ward off fake news. “Magandang panlaban sa kasinungalingan ay ang katotohanan,” said Sen. Bam, who said that the attacks against the so-called “dilawan” began when the current administration assumed power in 2016. “Lahat ng nagawa ng previous administration ginawang mali. Nag-focus doon sa mga mali at mga kakulangan at tinakpan ang mga magandang nagawa,” said Sen. Bam. Timi, for her part, admitted that she was sometimes affected by the “dilawan” tag, but she managed to get over it once she’s with Filipinos in poor communities who are desperate for help. “Kahit 30 minutes ka lang nandoon, makikita mo na mas malaki ang problema ng mga kababayan natin, kaya balewala ang mga atake sa inyo sa Facebook,” said Timi. “Take It…Per Minute!” airs live every Tuesday, 12 noon to 1 p.m. via Pilipino Star Ngayon’s Facebook account. 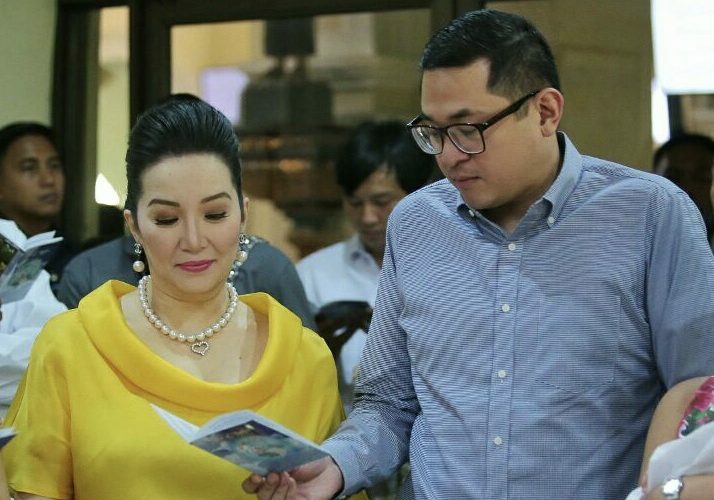 Sen. Bam Aquino expressed gratitude to his cousin, actress/TV host Kris Aquino, for supporting his push for free college law that would give a better opportunity for Filipino students to have a better life through education. “Nagpapasalamat po ako kay Ate Kris at sa mga kababayan nating naniniwala sa ipinaglalaban natin sa Senado na dapat may oportunidad na makatapos ng kolehiyo ang bawat Pilipino ano man ang kalagayan sa buhay,” said Sen. Bam, principal sponsor of the free college law. Sen. Bam echoed Kris’ statement that education is the best gift to Filipino children, which is now possible through the free college law. “Tama po si Ate Kris, mahalagang pamana sa ating mga anak ang makatapos sila. Dati pangarap lang po ito para sa mga kababayan nating mahirap pero ngayon ay posible na dahil sa Free College Law,” said Sen. Bam. Kris quickly sent a statement after Sen. Bam was asked about his cousin’s support in his re-election bid during a television debate last Sunday. Sen. Bam emphasized that the support of the Filipino people behind the free college law serves as inspiration amid the fake news and black propaganda being thrown his way. “Malaking bagay po ang tiwala ninyo lalo na sa gitna ng kabi-kabilang paninira at fake news na ibinabato sa akin at sa trabaho natin sa Senado,” Sen. Bam pointed out. “Nagpapalakas po ng loob ang suporta ninyo. Inspirasyon po ito na ilaban na tiyaking ang bawat graduate ay magandang trabaho,” he added. As he seeks re-election under the Otso Diretso slate, Sen. Bam said he will work to ensure employment for all graduates and push other education reforms such as improvement of facilities and benefits for teachers. In his almost six years as lawmaker, Sen. Bam has 35 laws to his name. An international organization is calling for the urgent passage of Sen. Bam Aquino’s measure that seeks to provide monetary compensation to Marawi City residents who lost their homes and other private properties to the siege perpetrated by the ISIS-inspired Maute group last year. According to Francisco Lara, senior adviser of International Alert Philippines, the enactment of the Sen. Bam’s Senate Bill No. 1816 or the Marawi Siege Victims Compensation Act of 2018 will help hasten the rebuilding of the war-torn city and help mend the wounds created by the conflict. “It’s very important. It’s very important in terms of healing wounds created by the war in Marawi,” said Lara. 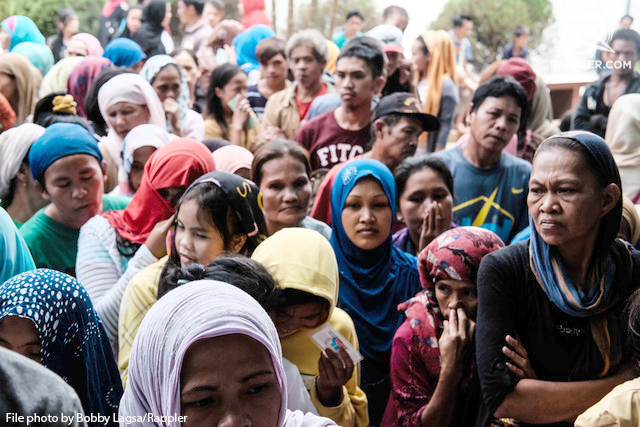 Lara stressed that it is unfair for the people of Marawi that a compensation bill is taking this long to pass, considering the urgency of the situation. “It’s unfair that a compensation bill is taking this long to pass. This is the only thing the victims have to look forward to,” said Lara. Sen. Bam filed Senate Bill No. 1816 on May 22, 2018, pointing out that the monetary compensation will give Marawi residents with means to immediately recover from the damage and destruction to their homes and private property caused by the Marawi siege. “Sa ngayon, wala pang paraan upang mabigyan sila ng tulong mula sa gobyerno na katumbas ng kanilang personal na ari-arian na nawala at nasira sa bakbakan,” said Sen. Bam. “Ang tulong na ito’y isang hakbang upang masiguro ang kapayapaan at ang daan tungo sa kasaganaan sa Marawi at sa buong bayan,” he added. 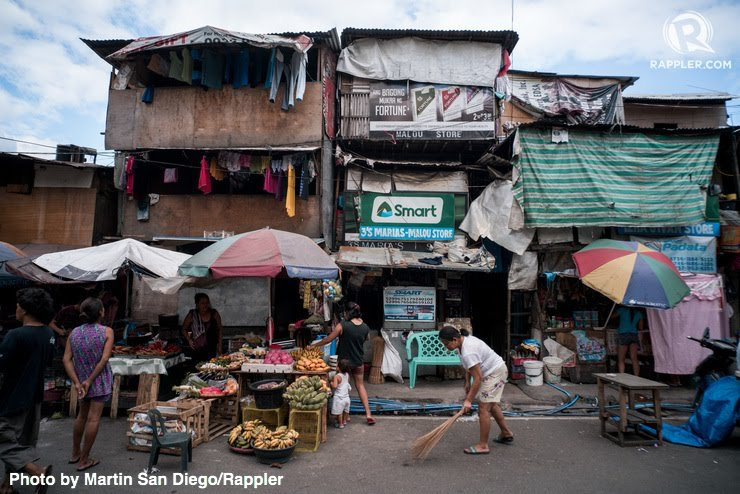 Based on earlier computation by the National Economic Development Authority (NEDA), the rehabilitation of Marawi City will come with a tag price of around P51.7 billion. As member of the member of the Special Committee on Marawi City Rehabilitation, Sen. Bam filed Senate Resolution No. 661 last February 26, 2018, asking the committee to look into the government’s moral and ethical obligation to provide financial assistance and support to victims of the siege. However, Sen. Bam’s resolution was not acted upon. After government forces successfully regained control of the city and killed known international terrorist Isnilon Hapilon and Omar Maute, the administration declared Marawi City liberated from ISIS-inspired forces on Oct. 17, 2017. 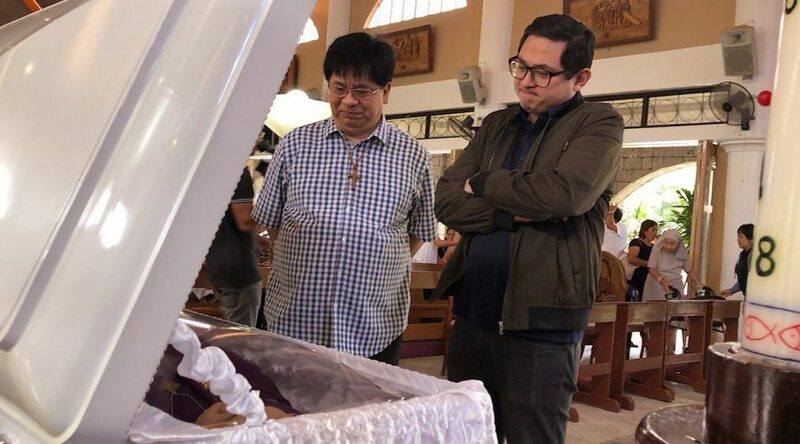 Senator Bam Aquino expressed serious concerns over the death of Father Richmond Nilo and other priests, saying it underscores the growing culture of impunity and escalating violence in our country. “Nangyari ito sa isang sagradong lugar, sa harap ng maraming tao. Kung hindi pa tayo natatakot at nababahala, hindi ko na po alam,” said Sen. Bam, as he visited the priest’s wake in Nueva Ecija. “Wala nang ligtas kahit sino, kahit saan. Pati loob ng ating mga simbahan pinasok na ng karahasan,” Sen. Bam added. As a response, Sen. Bam will file a resolution to investigate the peace and order situation in the country in light of the flagrant killings of religious leaders. The senator said the deaths of the three Catholic priests in public and out in the open has roused fear and deep anguish to Filipinos who find comfort in their faith and religious community. He added that the incidents merit a probe so Congress can support the quest for justice and strengthen efforts to ensure the safety and security of our country’s religious leaders. Last June 10, 2018, Father Nilo, was shot by two unknown assailants as he was walking towards the altar to preside over Sunday mass at a small chapel of Nuestra Senora dela Nieve, in Barangay Mayamot in Zaragoza, Nueva Ecija. There have been 4 known attacks on Catholic priests in the past 6 months, resulting in 3 deaths. “Ito ba ang peace and order na pinangako ng administrasyon? Ang mga mahihirap at mga tagapagtanggol ng mga mahihirap ang nabibiktima,” Sen. Bam stressed. 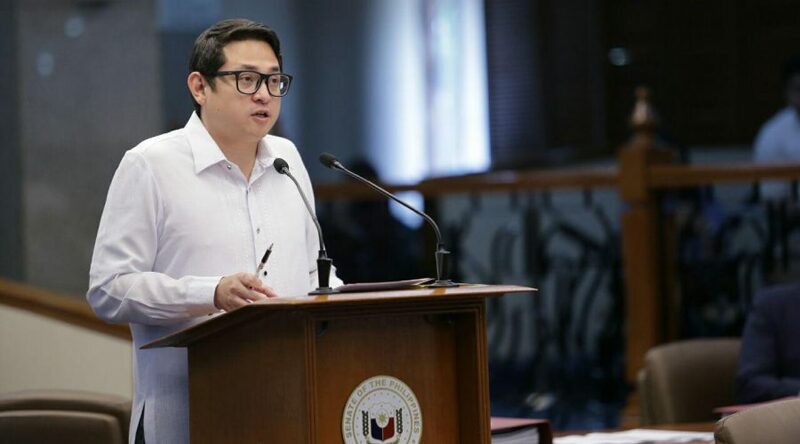 Senator Bam Aquino insisted that the excessive price increases, unprecedented inflation rate and government’s failure to deliver on the unconditional cash transfer program are sufficient grounds to suspend the Tax Reform for Acceleration and Inclusion (TRAIN) Law. “Hirap na hirap na ang mga Pilipino sa taas ng presyo ng bilihin. Mula tatlo, ngayon dalawang beses kada araw na lang kumain ang ilang pamilya. Masasabi pa ba nating magtiis na lang sila?” said Sen. Bam, one of four senators who voted against the ratification of the TRAIN Law. Sen. Bam was alluding to Socio-Economic Planning Sec. Ernesto Pernia’s pronouncement that Filipinos should just tighten their belts and live with the effects of the tax reform law. “Ang malala rito, hindi pa nabibigay ng gobyerno ang pinangakong financial assistance ng TRAIN sa higit 6 million na pamilya. Sapat na dapat ito para isuspindi ang TRAIN law,” said Sen. Bam, who is pushing to suspend the TRAIN Law, particularly the excise tax on fuel. Under Sen. Bam’s Senate Bill No. 1798, the excise tax on fuel under TRAIN will automatically be suspended when the average inflation rate surpasses the annual inflation target over a three-month period. “Sagad na ang pagtitiis ng mga Pilipino sa pagtaas ng presyo. Gawin naman natin ang ating makakaya para bigyan sila ng kaunting ginhawa,” said Sen. Bam, adding that the targeted collections for excise tax on fuel in 2018 is only P70-billion, compared to government underspending last year amounting to P390 billion. “Hindi lang TRAIN ang pinagkukunan ng budget. We can ‘Build, Build, Build’ and provide Filipinos free college tuition in SUCs even without collections from the excise tax on fuel,” Sen. Bam asserted. 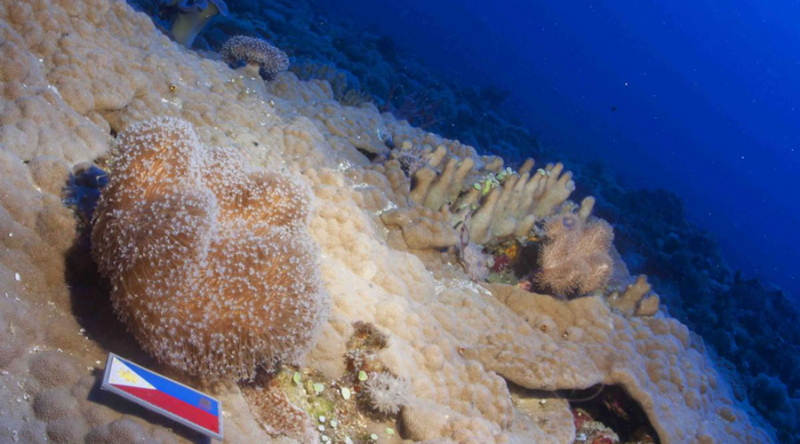 Benham Rise is clearly Philippine territory and its features are not for China to name. It is only right that the government counter any further moves to name features of our territory and propose remedies for the two formally named by China through the International Hydrographic Organization. I hope that the hearing I will chair on February 26 will bring clarity to the issue and help determine next steps. It is imperative that we protect our territory from any foreign interest. Dapat nang magkaroon ng matibay at malinaw na plano ang pamahalaan sa Philippine Rise, lalo ngayong unti-unti nang kumikilos ang China para ito’y angkinin. Huwag nating isuko na parang West Philippine Sea ang napakahalagang yamang ito. ​Sen. Bam Aquino​ ​​questioned the rise in number of drug-infested barangays in the country despite the aggressive campaign of the Philippine National Police (PNP) against illegal drugs​. ​​”In just seven months, the number of moderately drug-affected barangays jumped from 4,303 to 9,207. Why is there such a large increase, more than double,” Sen. Bam Aquino asked ​d​​uring his interpellation on the budget of the Department of the Interior and Local Government (DILG)​. Moderately affected barangays are defined as areas where at least two percent of the population are involved in illegal drugs. Based on records from the Philippine Drug Enforcement Agency (PDEA), these barangays increased from 4,303 to 9,207 from January to July of this year. ​​On the other hand,​ ​Sen. Bam lauded the decrease in the number of seriously affected barangays – or communities with a reported presence of a drug laboratory or marijuana plantation — from 217 in January 2017 to just 44 identified in July of the same year. “May progreso naman ang kampanya ng pamahalaan. Maybe we can expect this to drop to zero seriously affected barangays by the end of the year,” said Sen. Bam. ​Still, Sen. Bam asserted that the police force must work to win the trust of the Filipino people, especially with the issues hounding the government’s drug war. “Marami nang Pilipino ang natatakot na maging collateral damage ng drug war,” said Sen. Bam, referring to the June 23 to 26, 2017 SWS survey where seven of 10 Filipinos expressed fear that they themselves or someone they know will become a victim of an extrajudicial killing (EJK). The senator noted that ​while the drop in the country’s crime rate is commendable, there are still regions with alarming numbers for homicide cases, such as ​​Central Luzon ​with 1,397 deaths, CALABARZON with 2,185, Davao Region with 1,141 deaths and NCR with 3,141 deaths. “Bakit may mga areas na bumaba ang crime rate na wala ga​a​nong homicide cases​ habang may mga regions na in the thousands ang mga namamatay?” Sen. Bam asked the DILG and PNP. “Dapat pag-aralan ang mga area gaya ng​ M​IMAROPA​​ ​​at CAR na mababa ang kaso ng pagpatay. Hindi ba ito ang dapat tularan, na sa ​ pagbaba ng​​ ​crime rate, mababa rin ang bilang ng namamatay,” ​​​stated Sen. Bam, to which the PNP agreed. Region 4-B or MIMAROPA reported 273 deaths while CAR reported 175 deaths. Sen. Bam also encouraged the DILG to hasten the process of dismissing scalawag policemen from the service to stop the abuses and ​the killings. As of latest data, the PNP said around two percent or 3,620 of the 181,000 policemen in the country are involved in illegal drugs. 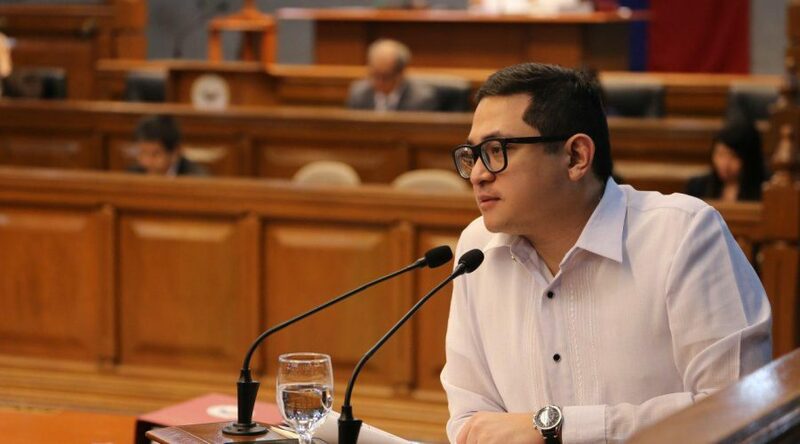 Senator Bam Aquino sponsored a measure that will give over 200,000 innovative start-up businesses in the country a better chance of succeeding through tax breaks and other forms of assistance, including a P1 billion venture fund where they can apply. In his sponsorship speech for Senate Bill No. 1532, Sen. Bam lauded innovative start-up businesses for finding solutions to the country’s problems. “These are startups that provide unique and relevant solutions to our problems, from daily hassles, like finding a taxi during rush hour, to improving the delivery of healthcare, providing support for our farmers, and addressing unemployment,” said Sen. Bam, the principal sponsor and author of the measure as chairman of the Committee on Science and Technology. As sponsor of the measure, he said the Innovative Startup Act will reduce barriers that hamper the start-ups’ march to success. “Let’s take this opportunity to empower our innovators and entrepreneurs with a heart for nation-building. Ipasa po natin ang Innovative Startup Act at himukin ang ating mga makabagong negosyante na lumikha ng mga solusyon para sa bayan,” said Sen. Bam. If enacted into law, innovative startups will also benefit from free use of equipment, facilities, and other services from government agencies, such as testing and fabrication facilities. They will also get assistance from the Intellectual Property Office of the Philippines for the patenting or licensing of their product. As a former social entrepreneur before he joined the Senate, Sen. Bam has been working for the welfare of micro, small and medium enterprises (MSMEs) and start-ups by giving them an environment conducive for growth. Sen. Bam worked for the passage of Republic Act 10644 or the Go Negosyo Act to provide access to markets and financing for businesses, training programs, and a simplified business registration process, helping ease of doing business and hastening government processes in putting up a business.